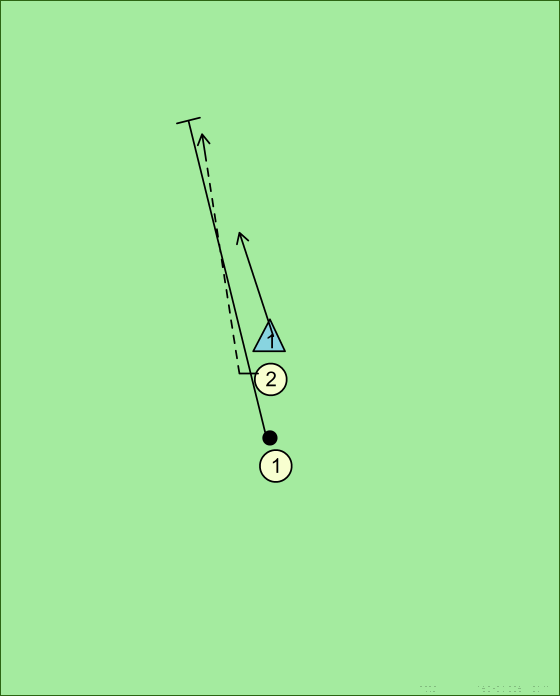 The object of this drill is to encourage player 2 to bring a defender away from his area and to quickly turn and create space. 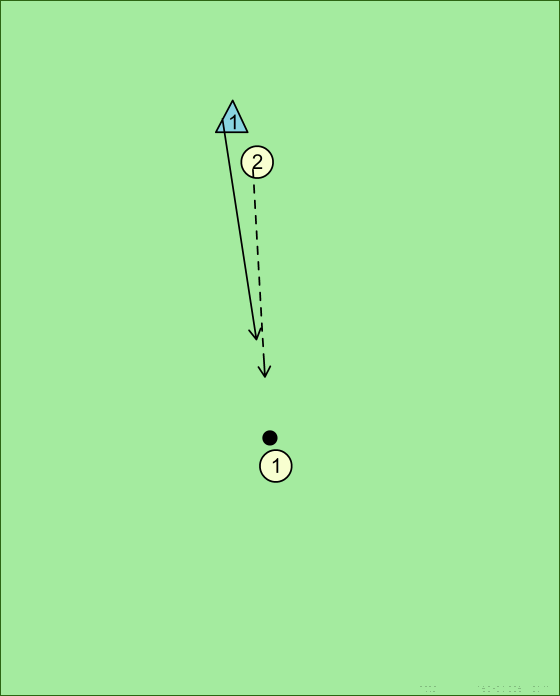 Player 2 runs towards player 1 tracked by defender 1. 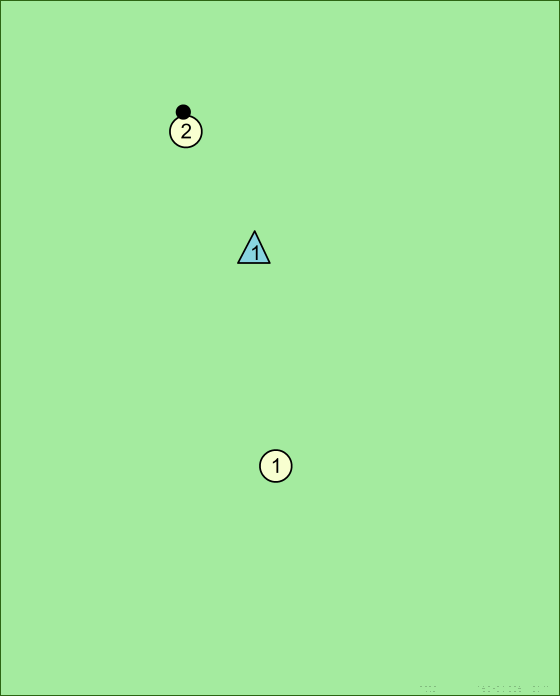 Player 2 quickly turns and loses his marker, thereby creating space to receive a longer pass by player 1.